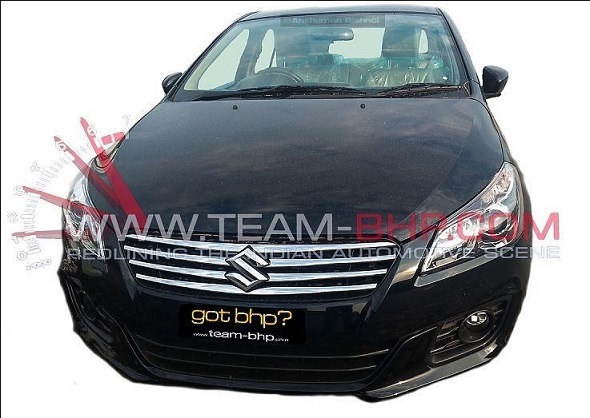 Maruti Suzuki's C segment sedan has been a flop for quite some time now. 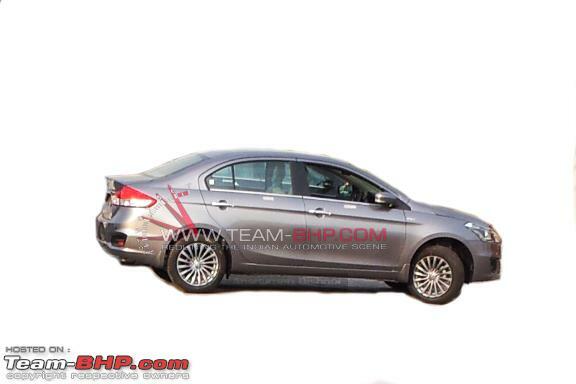 The car maker has been working on the replacement since long time now and the car is in final stages of testing now. 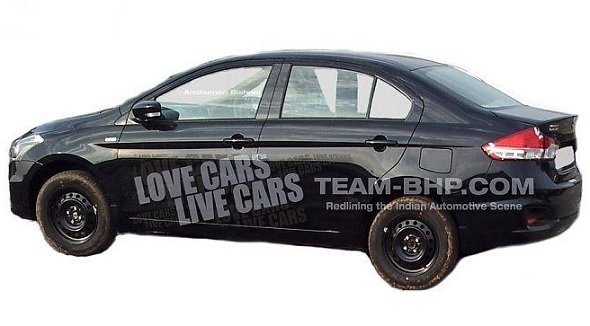 Sources close, have revealed that the car could launch during February 2013, near to Auto Expo 2014. 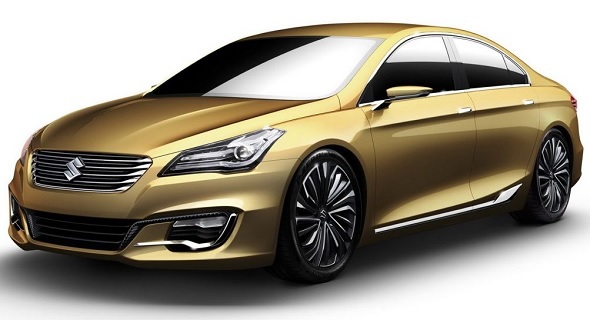 YL1 is the codename globally for the new Suzuki Authentic S concept. The new car clearly takes care of the shortcomings of the current gen SX4 which its competitors have. 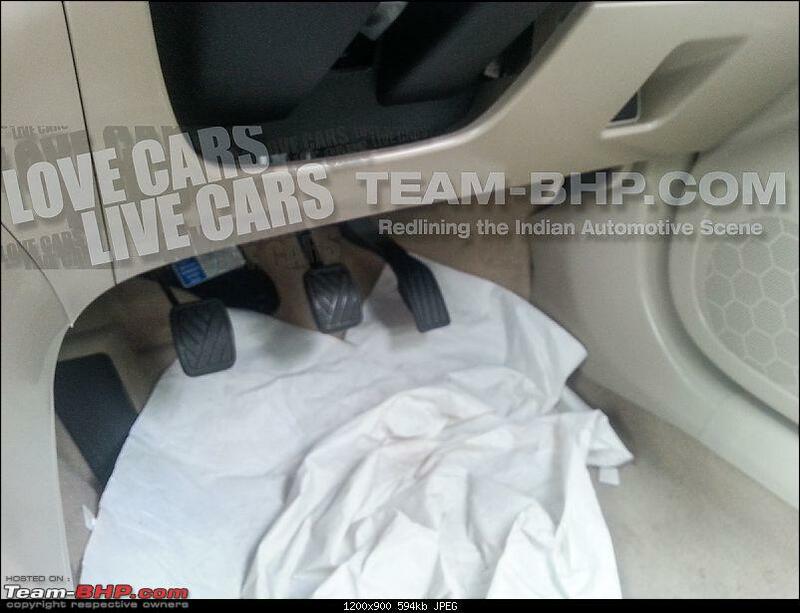 The new car looks much bigger and better and should also take care of the rear space leg room, which is scanty in SX4. The style looks typically from Suzuki but the projector headlamps and appealing alloy wheels gives it a modern and premium feel. The car is expected to retain the 1.3L SDE Fiat Multijet engine producing 90PS along with a 1.6L Petrol engine which is currently doing duty in SX4. Here are some more Images of the interiors of the new SX4. 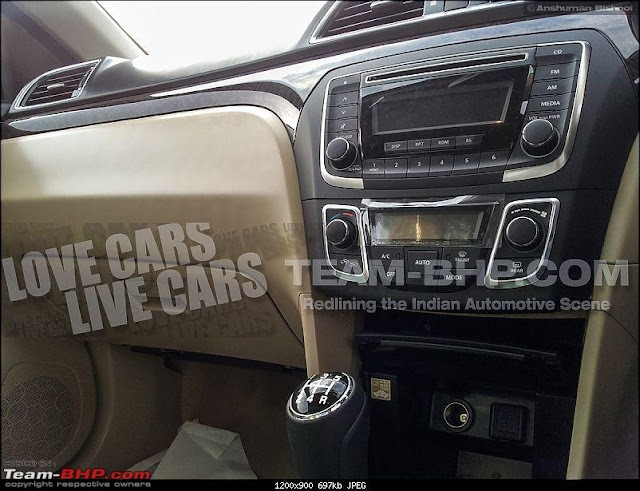 The car no doubt looks even better as far as interiors are concerned when compared to new exterior image. 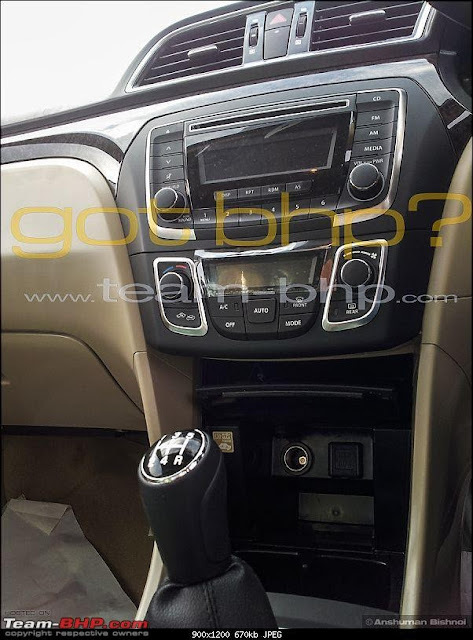 The car hosts new beige + black interiors with premium finish, gloss black paint on gear knob and around the touch screen music system. A high gloss black finish line is also available across the dashboard similar to what we see in Dzire - though in faux wood finish. 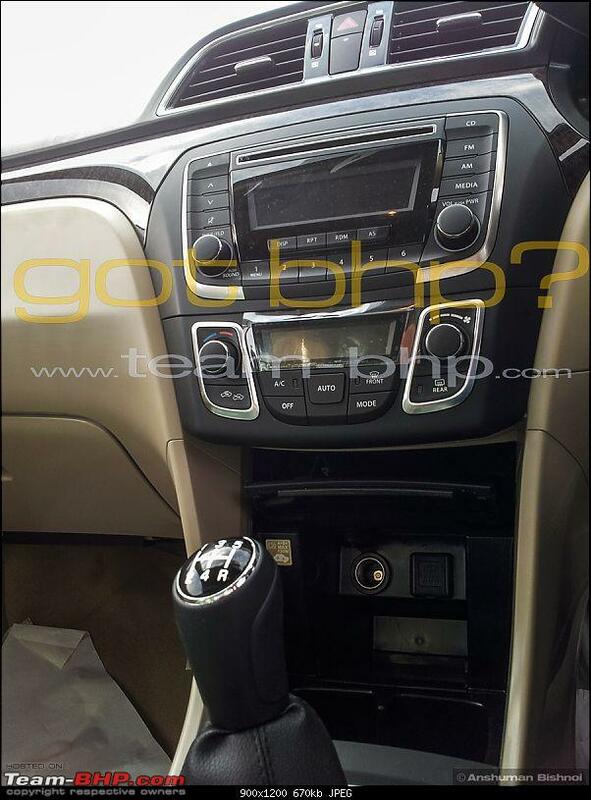 The V shape dashboard falling design is new and resembles a little bit to Hyundai Verna. The car also features Auto Climate control Ac and power charging slot. 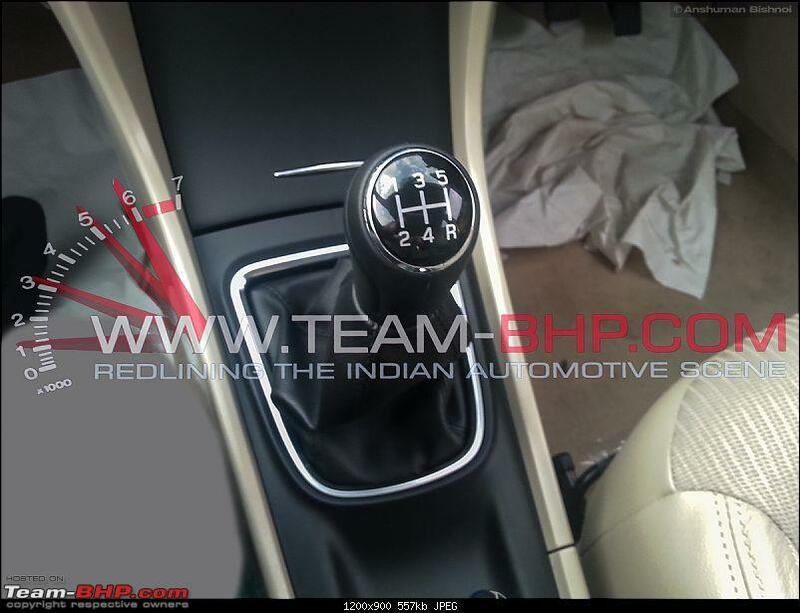 A rectangular chrome finish around the gearbox looks premium and an addition of storage space in front of gear stick is a welcome addition. 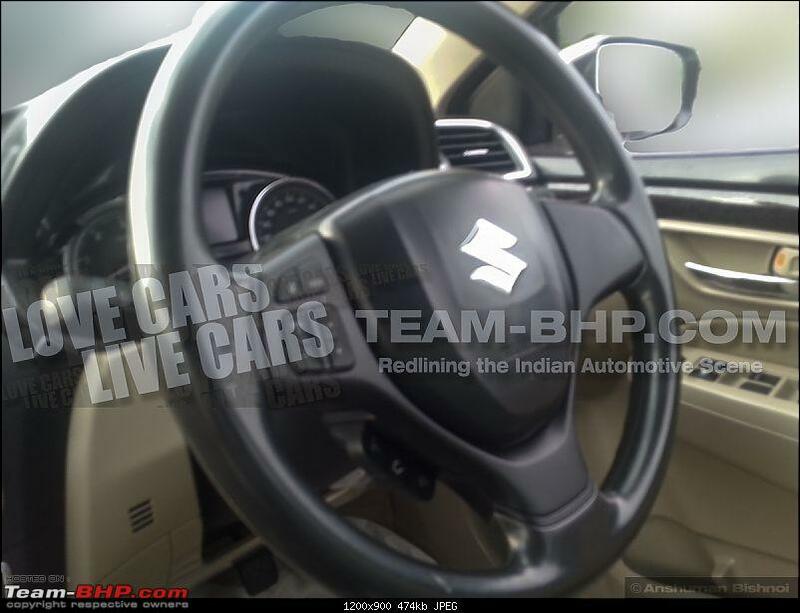 The three spoke steering wheel with audio controls on it looks descent and is a mandatory feature considering equipment level of its competitors. 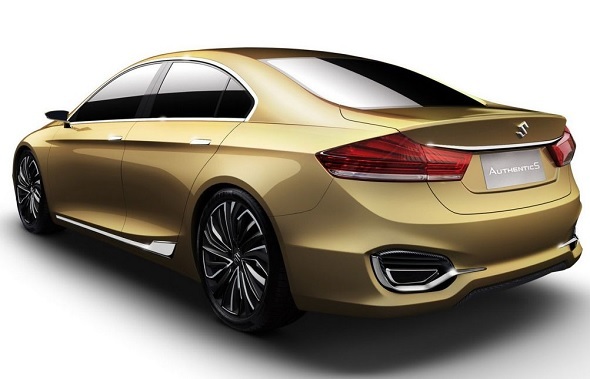 Overall the car looks good enough and has the features enough to compete with its current competitors. 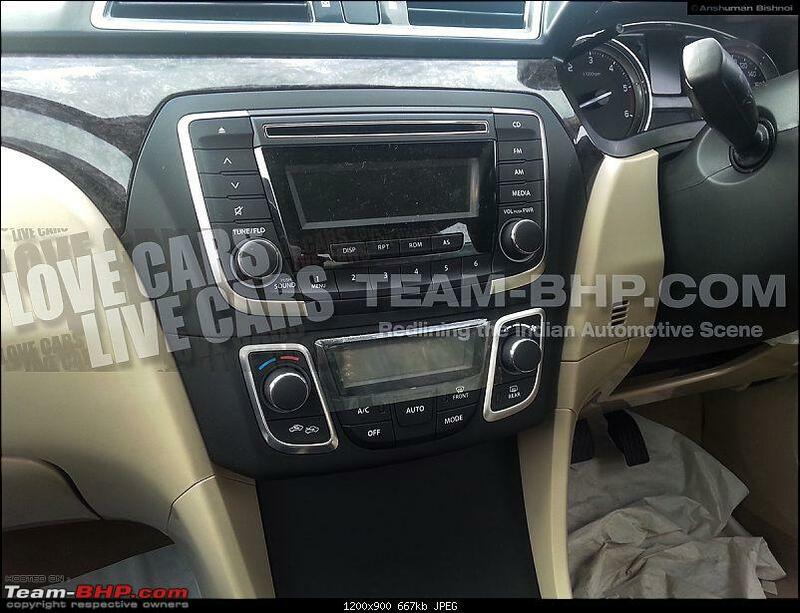 We will have to wait n watch for more details and pricing that Maruti Suzuki places with the new car. Stay tuned at Wheel-O-Mania for more details.